It's winterrrrr! Brrrrr! Well, almost! The perks of living in Bangalore/Mangalore - you can always wear sundresses and shorts! :D It never gets too cold around here. I have taken a break for a couple of days from work and now that I have some time on my hands, I decided to explore online all the available options to enhance my wardrobe and look the best I can. This look is perfect for office! It looks so comfortable! I am not a big fan of heels, but I would definitely get these chunky white block heels that are totally in these days. I am all set to play office-office in this outfit and these pair of heels. I fell in love with these denims in five seconds! 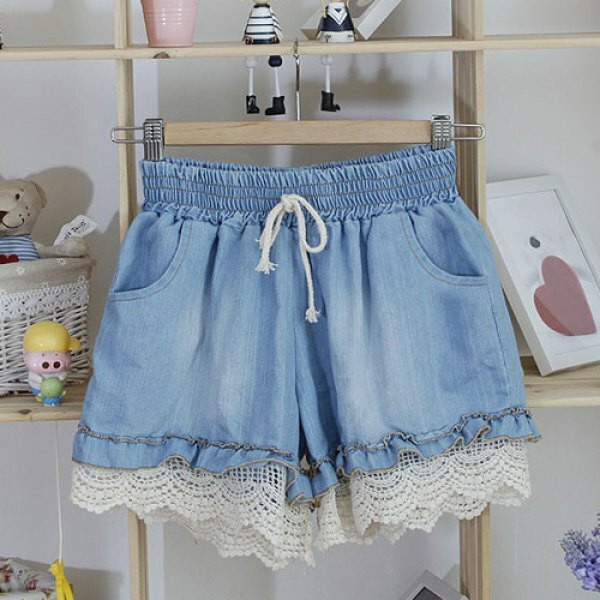 I like the lace around the bottom, giving the shorts a feminine feel. 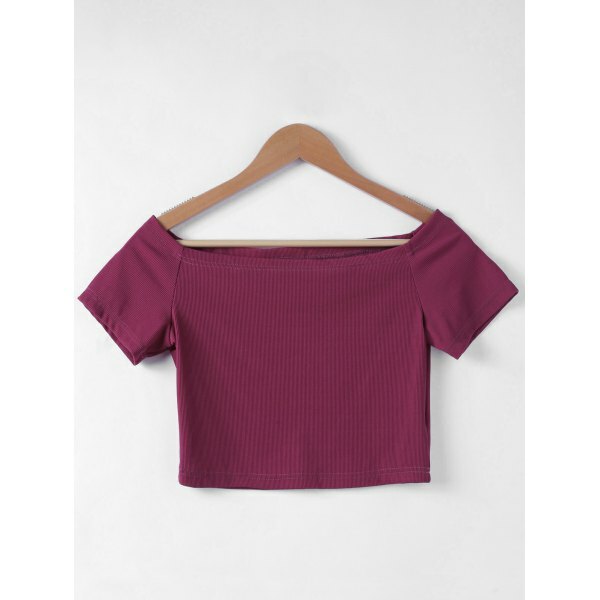 I'd pair it with this wine color, off the shoulder crop top that I absolutely loved. This outfit is perfect for a day out with your girlies! The block heels from the previous look would complete the look. Now that you have a taste of Dresslily, what are you waiting for? Check it out while the sale lasts!